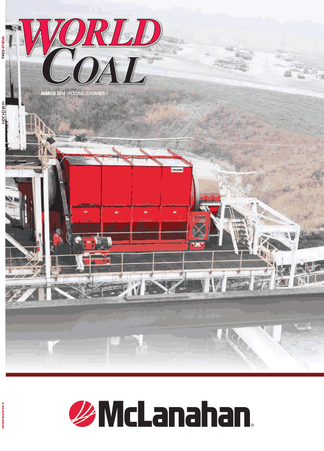 Take out a subscription to World Coal, the leading monthly industry magazine that covers the entire coal chain, from the mine to the power plant. World Coal magazine provides regular features covering every step of the process, including: both underground and opencast mining technique, coal preparation, transportation and end use, as well as regular news, comment, regional reports, penetrating analysis of the key issues in the industry today and the development of new and cleaner coal-based fuels and technologies. Each month also features a regional report, which focuses on a specific coal producing region in depth, as well as monthly news and editorial comment. A subscription to World Coal magazine provides everything you need to know about the industry.